Note: You as the plaintiff in an employment case may take advantage of some of the Bankruptcy Code’s protections for creditors. Although you would obviously prefer not to have to pursue your claim against your employer in the bankruptcy court, you should not simply abandon your claim without assessing the potential to preserve the claim or judgment, by considering the available options in consultation with your lawyer and/or a bankruptcy attorney. 9. If the defendant is attempting to reorganize its debts under Chapter 11, do I have any say about the defendant’s reorganization plan? 14. What if my employer still owes me money that doesn’t qualify as a priority claim? The filing of a bankruptcy petition by a defendant company or individual is never good news for you as the plaintiff in an employment case. However, it doesn’t have to be the end of the world — or the end of your claims against the defendant. A plaintiff in an ongoing employment case is a creditor of the defendant employer, because under the Bankruptcy Code, a creditor includes any person who has a claim that arose against the debtor at the time of or before the filing of the bankruptcy petition. The Bankruptcy Code does provide mechanisms for creditors to maximize their claims against the debtor. However, the purpose of a bankruptcy petition — whether a Chapter 11 reorganization or Chapter 7 liquidation by a corporate entity or a Chapter 7 or Chapter 13 by an individual — is to relieve the debtor of all debts that existed prior to the bankruptcy filing and give the debtor a “fresh start.” A corporate entity or other business entity that initiates a debt reorganization process through the bankruptcy court generally has little incentive to carve out funds to pay debts incurred before the bankruptcy is filed, especially unliquidated, unsecured debt, such as a plaintiff’s employment claim. Individuals who have filed for bankruptcy are equally motivated to wash away all of their debt. Even if you have obtained a judgment before the bankruptcy is filed, the debt could still be forever discharged by the bankruptcy court, which means that the debtor will not be obligated to pay any portion of the judgment. 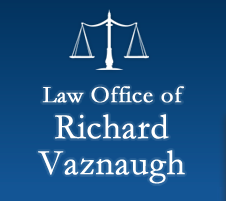 Any action taken in violation of the stay is void and a willful violation of the stay may be punishable by a citation for contempt of court, and/or require you to pay for attorneys’ fees and damages incurred by the defendant/debtor. In order to recover from your employer, you will either have to be exempted from the stay, or continue your lawsuit in the bankruptcy court. However, when a “governmental unit,” such as the EEOC or any state human rights commission, undertakes action against the employer/debtor for a public purpose (other than a private litigant’s individual charge of discrimination, for example), the automatic stay does not apply to such proceedings. The Bankruptcy Code recognizes the higher public interest in allowing governmental entities to exercise their regulatory or police powers, notwithstanding the defendant’s bankruptcy. Therefore, like other governmental entities, the EEOC and state human rights commissions have the authority to continue their proceedings in order to vindicate the public interest in eradicating employment discrimination and other violations of employee rights. Bankruptcy often is about negotiated resolutions. This is an area in which the squeaky wheel more often than not gets the grease. That is not to say that grease equals justice. However, careful planning may help you thwart a defendant employer’s attempt to use its bankruptcy to avoid the debt owed to you as the plaintiff. ► Helps assure that you are notified of the court’s proceedings. The official proof of claim form is available from the bankruptcy court. Most, if not all, of the bankruptcy courts are online now, and make available all of the necessary forms, sometimes including model examples, in a downloadable .pdf format that can be printed out and completed, or in an online “writeable” form. ► Whether you have an unsecured priority claim, as that term is defined by the Bankruptcy Code. In most instances, your employment claim will be a general unsecured claim. You must be as complete as possible in asserting your proof of claim and should attach supporting documents, such as a file-stamped complaint, employment contract, or judgment, as appropriate. You should include all components of the claims and relief sought against the defendant/debtor in the proof of claim, including compensatory damages, equitable relief, prospective relief, prejudgment and postjudgment interest, and attorneys’ fees. See our site’s damages page for more information about these different types of damages. If the complaint has been filed without a specific amount, you may list the amount of the claim as “undetermined.” You should consult with your attorney to prepare this information, or have your attorney prepare it for you. You and your attorney should make sure the defendant’s counsel and/or a Trustee appointed to administer the defendant employer’s bankruptcy estate know about your claims. Debtors are required to file schedules and a statement of financial affairs, listing all of their assets and liabilities. You should check the schedules to make sure that you are listed as a creditor, and that the debtor has accurately characterized the claim. Your attorney can tell you how to do this or will do it for you. ► Whether the Bankruptcy Court needs to first address bankruptcy?law issues before your employment case proceeds. After the bankruptcy court considers these and other factors, the court may lift the stay and allow you to finish litigation already underway, to “liquidate” your claim. Once you have a judgment, your claim has a specific monetary value attached to it, which makes it easier when it is time to distribute any remaining assets in the bankruptcy case. For example, the bankruptcy court may modify the stay to allow you to bring your claim forward to a jury verdict, on the condition that you may not take any steps to enforce any judgment you may obtain without further order of the court. Once you obtain your verdict, the bankruptcy court is in a better position to assess the value of your claim and your relative right to share in any distribution of the debtor’s assets to creditors. The plan of reorganization should specify the claims that the debtor proposes to pay, in whole or in part, and the terms of such payments over time — often at least five years. The debtor must provide sufficient information for each creditor to determine exactly what, if anything, he or she will recover if the debtor’s proposed plan is approved by the court. The plan will include separate “classes” of similar types of claims, whether secured, or unsecured, etc., as well as specified percentages of the value of the claims asserted against the debtor. In order to maximize your recovery, you must exercise a role in this process. Merely filing a proof of claim, without more follow-up, is unlikely to generate the best result for you. The basis for your claim may be so unique, compared to the debtor=s other creditors, that you are in a class of one or just a few creditors, without whose support the debtor cannot obtain approval of the plan. As the debtor’s goal is to obtain approval of its reorganization plan, you may be in a position to achieve a better-than-expected result, depending on the debtor and the overall value of the claims asserted in the case. Once a reorganization plan is confirmed by the court, any claims that could or should have been brought against the debtor at the time of or before the bankruptcy filing will be discharged. If you wait to act after the defendant employer reports that it “has emerged from bankruptcy,” it probably will be too late to protect your claims. The committee is composed of unsecured creditors, and provides a vehicle for a representative group to participate in the case in an orderly manner. Depending on the value of the plaintiff/creditor’s claim, the funds available for distribution from the estate to creditors, and the nature of the defendant/debtor, whether a large or small corporate entity or an individual, participation on the committee may be an opportunity to advance your interests in the case. Plaintiffs in employment discrimination cases have been successful in persuading bankruptcy courts that their debts are nondischargeable, based upon jury findings that defendants caused “willful and malicious injury,” or when the jury awarded punitive damages requiring a finding of willful or malicious intent. If, however, you have not had the benefit of any pre-bankruptcy proceeding to obtain a finding of intentional willful and malicious injury against the defendant/debtor, you are unfortunately much less likely to have the bankruptcy courts consider the debt created by your case nondischargeable. Settlement agreements are subject to the “avoidable preference” provisions of the Bankruptcy Code. The policy behind these provisions is that the debtor’s assets should be available to compensate all of its creditors, and not just those creditors the debtor “preferred” to pay immediately before the bankruptcy filing. Any transfer of property, including money or a commitment to pay money in settlement of a claim against the defendant is subject to the bankruptcy court’s authority to compel the transferee plaintiff/creditor to disgorge the money. Any transfer within 90 days of the bankruptcy filing is presumed to be an avoidable transfer and subject to return to the bankruptcy estate. If the transferee is an “insider” of the debtor entity, the preference period is one year. ⚖ Insiders include people such as relatives, general partners, directors or officers of the debtor- check with your attorneys to see if this applies to you. Yes. After the administrative expenses of the bankruptcy case are paid, certain employee wage claims — for unpaid wages or other forms of compensation — are entitled to the highest priority treatment in most cases under the Bankruptcy Code – up to an amount not to exceed $12,850 as of April 1, 2016.⚖ per individual or corporation, as the case may be, earned within 180 days before the date of the filing of the petition or the date of the cessation of the debtor’s business, whichever occurs first. ► By a corporation with only one employee, acting as an independent contractor in the sale of goods or services for the debtor in the ordinary course of the debtor’s business if, and only if, during the 12 months preceding that date, at least 75 percent of the amount that the individual or corporation earned by acting as an independent contractor in the sale of goods or services was earned from the debtor. The rest of an employee’s claim for wages, salaries, or commissions is treated as a general unsecured claim. For example, if you are owed $15,000 in unpaid wages earned before the bankruptcy filing and the employer files for bankruptcy, the amount of that compensation earned within 180 days before the filing (up to $12,850) will receive “priority” treatment and will be paid ahead of other general unsecured prepetition claims. ► Subtracting the aggregate amount paid by the estate on behalf of such employees to any other employee benefit plan. It is also possible that the Pension Benefit Guarantee Corporation, a government agency responsible for protecting pension benefits by taking over defunct plans, may be involved in administering your plan, which could affect the benefits to which you are entitled. For more information, please consult with the PBGC’s website or your attorney.